After an unusually warm late fall and early winter, January arrived and it chilled down a lot. Still no snow, though. Until Friday night. I was a bit concerned about how our forced hibernation was going to go together. 🙂 Mostly because I didn’t think we’d really be able to get outside, according to what the forecast sounded like. But we had a great time together (well, all but the time we tried to get out of the house and go jumping at a trampoline park and a grand 4 year old tantrum came and we all had to leave…but that was just one moment…it can’t all be perfect, right?!?!)! So, here’s a little video I made of our time together. It doesn’t capture everything that we did (certainly not that SkyZone tantrum! ), but we hope you have fun watching! Thanks for stopping by! So, clearly you came here because you couldn’t wait to find out the answer to the question that we said on our Facebook page we were asking each other at dinner: If you were a dinosaur, would you be an herbivore or a carnivore? 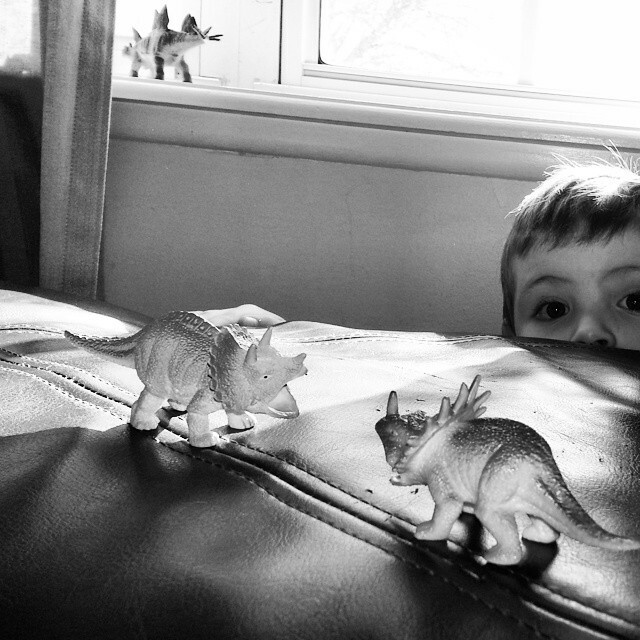 A little background on that question: Jayden is on the brink of falling into full dino stage. I’m pretty sure that there are a lot of kids that go through it around this age. There simply just aren’t enough dinosaur facts around to satisfy his curiosity about these interesting, vanished creatures. 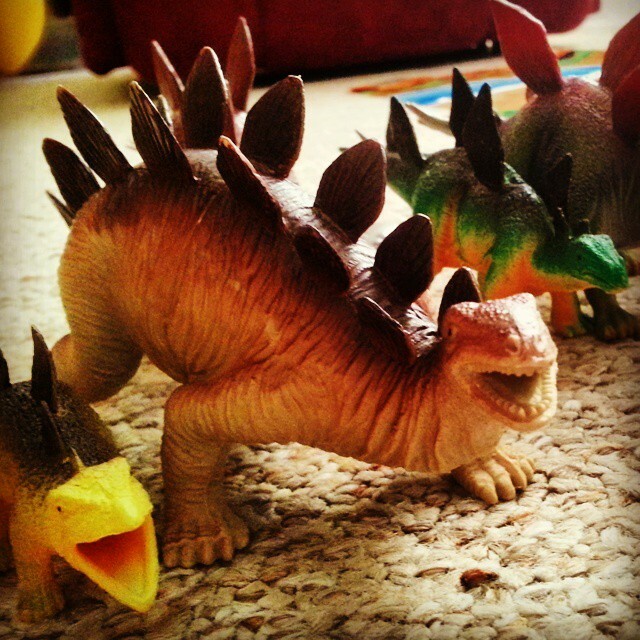 Add to this his new love for the show Dinosaur Train and we could be creating a dinosaur-crazed preschooler! So our conversation at dinner somehow made its way to meat-eaters and plant-eaters in the dino world. We talked about the words “herbivore” and “carnivore.” And I asked Jayden, “If you were a dinosaur, which would you be?” Much to our surprise, he quickly said, “Herbivore.” To which we replied, “Really? That means no hot dogs and chicken fingers!” He insisted a herbivore. And then asked for a leaf (a piece of lettuce) from the fridge. OK…whatever gets you to eat some veggies! Without prompting, Jayden asked us which we would be. Mommy’s answer: an herbivore, even though I’m not the greatest vegetable eater, I’d still miss them and fruits more than meat. Daddy’s answer: a carnivore, of course! He said that would be asking too much to give up steak and seafood! Which would you be, an herbivore or carnivore? Comment on our facebook page! Home-cooked meals are not a rarity around here at our home. In fact, an important part of our day for all three of us is our time together at the dinner table (whether it is with a home-cooked meal or a Happy Meal). I treasure that time, knowing that in the not-too-distant future, time together for dinner will become more of a rarity, replaced by sports practices and social events. 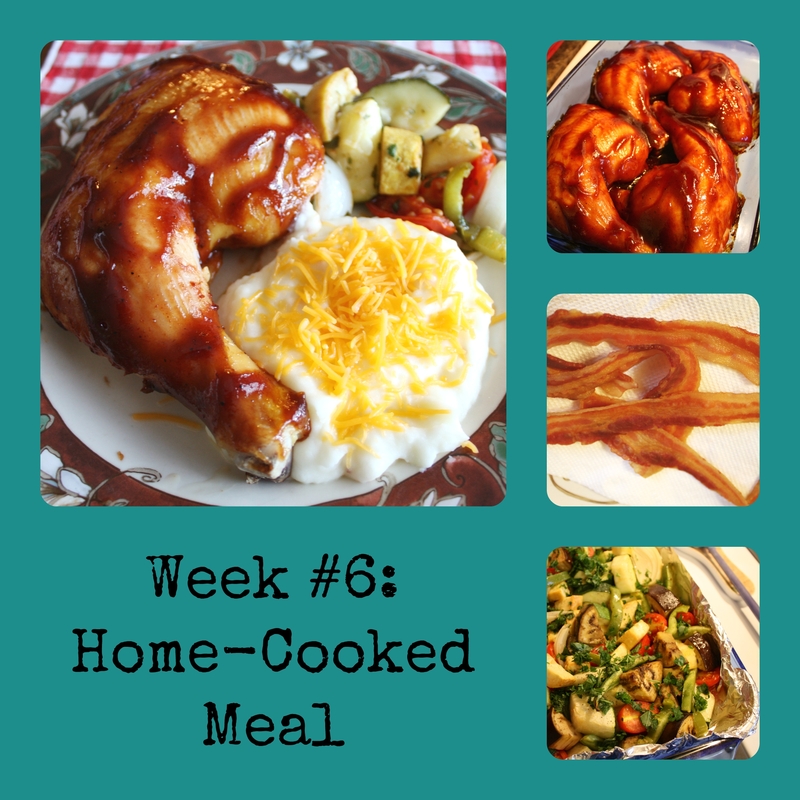 What I made a few nights ago, oven-roasted, barbecued chicken, bacon-cheddar mashed potatoes, and ratatouille, is not necessarily our favorite home-cooked meal. But it was one on the list for the week and was easy to photograph. Doug likes meatloaf with mashed potatoes. Practically speaking, I think he also likes the meatloaf too because it makes great leftover sandwiches! Lisa prefers “comfort food,” so anything cheesy and gooey is great! Homemade macaroni and cheese is pretty awesome, as is her mom’s recipe for tuna buns, wrapped in foil and heated warm in the oven. Ravioli is also great, too! Jayden is a chicken fingers and hot dogs kind of kid, and yes, believe it or not, we’ve found ways to work them into more of a homecooked meal than just something right out of the package. I continue to perfect my homemade chicken fingers recipes, which are great made with crushed goldfish crackers! However, his favorite meal that I really work for is shrimp fried rice…his belly opens up and he becomes a bottomless pit! Ratatouille! 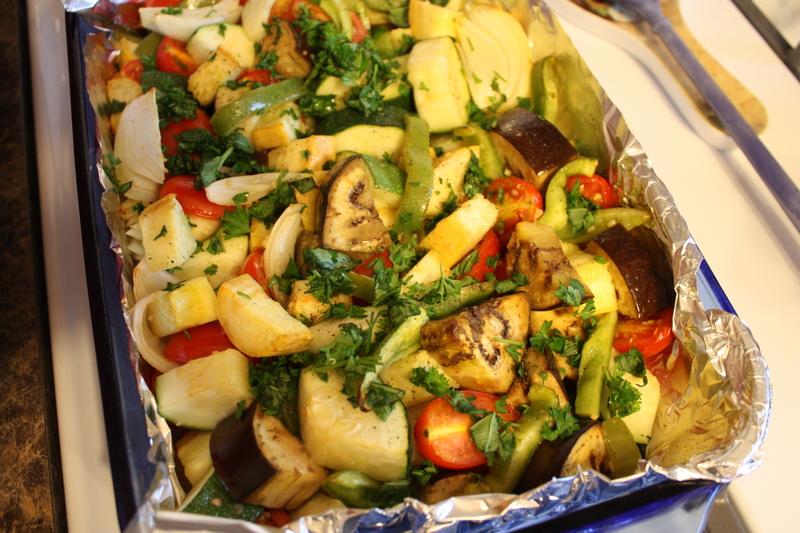 We never knew what it was until we tried it last summer…roasted zucchini, squash, eggplant, tomatoes, onions, and peppers in olive oil and herbs. On a side note, Jayden isn’t quite as picky as most kids are, although he does have his picky moments. However, score 1 point for parents when Jayden saw the ratatouille cooking in the oven and said, “Oh, ratatouille!” He doesn’t like all of the veggies in it (that eggplant is a bit of a stretch, even for me! ), but I was pretty proud that he knew what it was and even pronounced it correctly! So, how about you? What are your favorite home-cooked meals? 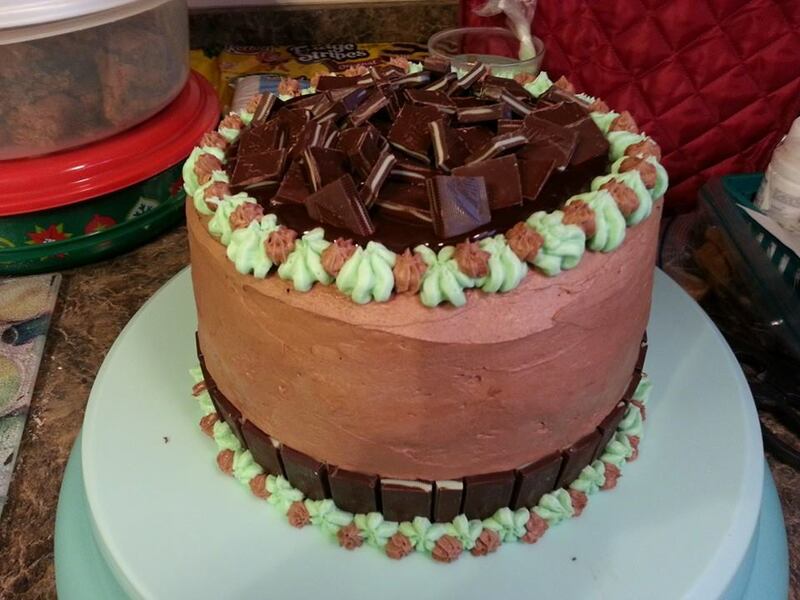 Is there anything you enjoy making or anything you enjoyed having when you were growing up? Leave a comment on our facebook page and let us know!